I’m writing this article because I have been doing some research about a topic that fascinated me when I was a kid. The topic is dragons and dragon slayers. I know how peculiar this sounds. Please bear with me. I promise this relates to you, personally. I will explain how. First, I am going to say something even more peculiar-sounding; even absurd. My research indicates that there is too much evidence to deny that dragons are real. They actually do exist. 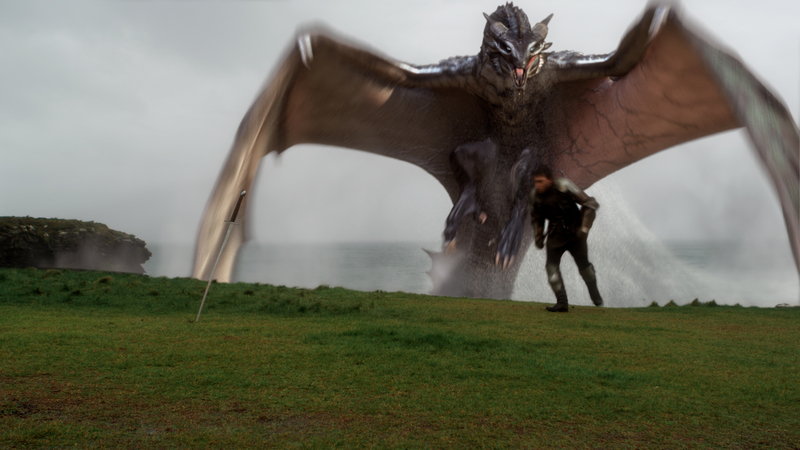 Yes, not only did dragons exist long ago; they exist now. 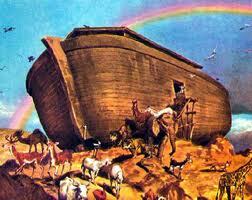 Even atheists cannot deny that at some point in world history there was a cataclysmic worldwide flood. There’s fossilized evidence of it all over the world, even in the middle of some of the largest, driest deserts, and in the highest mountain ranges around the planet. Additionally, all the world’s ancient cultures – even remote tribes – repeat an account, passed from generation to generation, of a family who survived the flood by building and boarding a large vessel that also preserved the lives of the rest of the world’s above-water creatures. That the ancient Israelites would repeat to their children essentially the same story that the tiny, completely isolated Mamberamo tribesmen deep in the mountain forests of Papua New Guinea tells their children would be a rather remarkable coincidence, if that’s what it is. Based upon the evidence, it requires more faith to believe the age-old flood story does not have a true historic basis than accepting that it really happened as described in scripture, in part, because it isn’t described only in the Bible. It’s part of world history to people across the face of the earth that have never seen a Bible. The same is true of dragons… mythologically speaking. Let me explain (I promise, I will bring this all together). Worldwide, the various ancient mythological narratives that exist were created to expose and explain various aspects of life… and death. 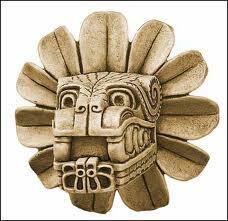 They also provided a framework for the gods that were the focus of worship for societies of long ago. Greek mythology, for example, conveyed in the form of songs, poems, oral tradition, etc., tells the stories of the gods, the titans, the heroes, the heroines, the mortals, and of course the creatures that tormented all the above. Homer and Hesiod are probably the best-known names associated with bringing Greek myth to life. The downside to mythology is the polytheism; the worship of a pantheon of all kinds of goofy gods. 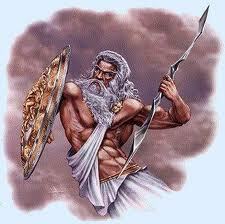 Even Zeus, the Greek god who was the boss of the other gods, was a total jerk. The upside was that some fairly worthwhile lessons and insights about human nature and the complexities of the joys and sorrows of human existence, including human relationships, could be gleaned from many of the fictional tales of ancient Greece. Throughout history, mythology has played a useful role in teaching sound moral lessons… as good storytelling has always had the potential to do. Jesus used parables to simplify ideas that were big and complex. By telling fairly short fictional stories that taught some pretty worthwhile lessons and insights about relationships, especially between God and man, he was able to elucidate not only His life’s purpose, but also ours. The Bible is full of symbols and shadows and types. Christian scholars point to hundreds of Old Testament symbolic references to Jesus as the Christ, while Jewish scholars point to many of those same references as describing a Messiah that has not yet arrived. Followers of Jesus look forward to the second coming, while their Hebrew brethren anticipate the Messiah’s first coming. Interesting, isn’t it, that both agree: God’s Word is chock-full of symbols and shadows and types. Anyway, many of the uses of the word “serpent” throughout scripture do not refer to a literal snake. I found it interesting that the same Hebrew word used to describe the serpent who spoke with Eve in the Garden of Eden, is, in various places, also used to describe a city, a snake-like constellation, a king, and assorted men in scripture. How or why the Bible uses a scaled reptile to symbolize Satan and/or wisdom and/or awareness of sin and/or sin, I do not know. No, I’m not here to discuss whether or not Eve conversed with a literal talking snake (maybe so, maybe not). I’m simply pointing out that in scripture serpents were frequently used to represent something other than a mere serpent. That’s what brings us back to dragons and dragon slayers. Looking at mythology and dragon lore from all over the world, we find that dragons and serpents are somewhat interchangeable. In other words, they have similar symbolic functions. Both the Toltec and Aztec’s serpent god, Quezzalcoatl, also has dragon like wings, like its equivalent in Mayan mythology, Q’uq’umatz, described as a “feathered serpent”. The serpent in Germanic mythology is identical to the Greek Draca (dragon). 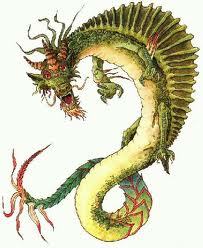 Same thing in China, where the Indian serpent Naga was equated with the Chinese dragon. The Norse Nidhogg Nagar and the Greek Ladon have, at times, been described as serpents and other times as dragons. We return to the Bible and the Book of Revelation, and there it is again. The serpent, Satan, is also described as a dragon. 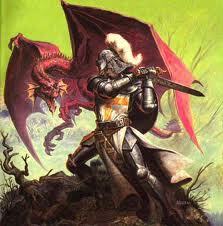 I hear you: So, what does all this have to do with a dragon slayer and dragons being real? Remember what Jesus did? 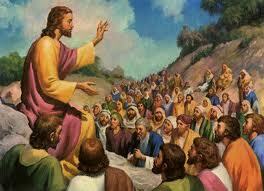 He used the powerful imagery of parables to describe reality. Remember what mythology does? It has played a useful role in teaching sound moral lessons. Dragons are a common feature of the folklore across all ancient cultures because dragon-like intractable deadly difficulties and challenges have vexed and terrorized people everywhere, across time. Nightmarish realities like war and marauding enemies, and the devastation of famine and disease, made fear a constant reality in millenniums past. Correspondingly, archetypes and symbols that represented those real-life hazards became a part of the mythology of ancient societies. In telling fictional tales depicting those monsters being resisted and defeated, the people could see that they, too, could rise above and overcome the sources of their fierce, vicious, “scaly”, serpent-like real-life fears. Now, let’s fast-forward to today. Think about what you have overcome and accomplished in your life so far. It wasn’t always easy. No, actually, I take that back. The things you’ve overcome and accomplished was never easy. You’ve fought your own personal nine years’ war… and you’re winning, though it may not always seem that way. By getting in, and staying in, the arena, you are a source of inspiration and encouragement to others. Your power multiplies when you share with others lessons learned; how you have found victory in different areas of life. An act as simple as getting up can be a powerful statement of resistance, and you’ve done that plenty of times. You’ve gotten up when you fell. You’ve gotten up when you slipped. You’ve gotten out of bed when defeat told you to stay. In the face of a flood of fears, you rose above. You found dry land. A deadly dragon was slain. A new piece of the real you had a resurrection. You. You are a real life Dragonslayer.